Don’t spend hours making your Easter dessert – dress up your Hot Cross Buns instead. 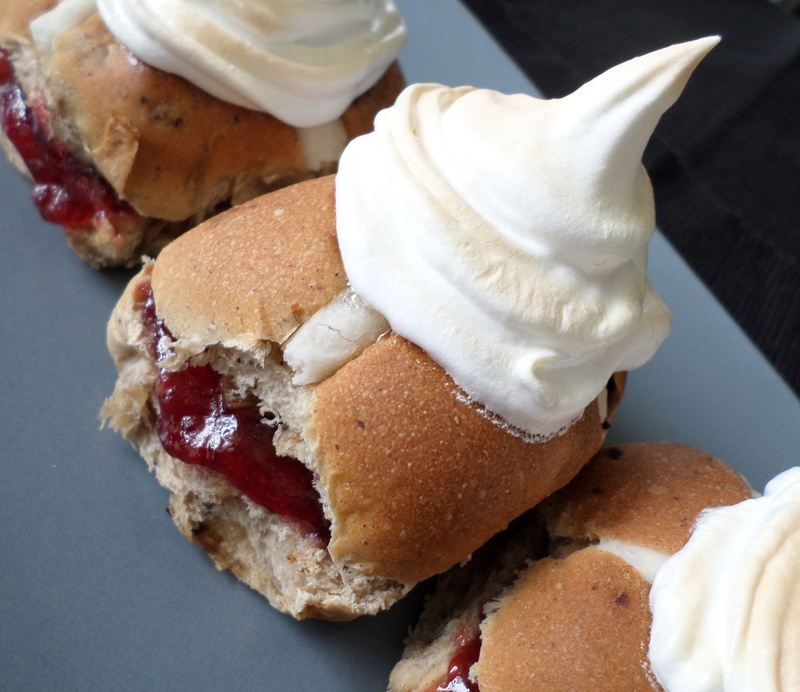 I first made these a couple of years ago and it is now one of my favourite Easter recipes. It is perfect if you want to impress your guests but are short on time. 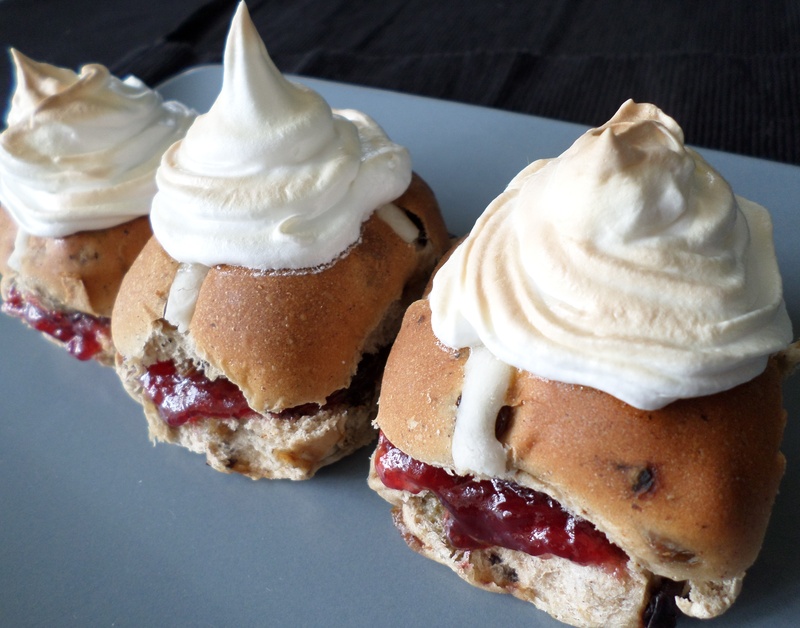 Cut your Hot Cross Buns and fill inside with enough raspberry jam to give a good layer. Close the buns to form a sandwich around the jam and then place the filled buns onto a baking tray. Put the egg white into the bowl of your electric mixer and whisk until soft peaks form. Gradually add the sugar to the egg white whilst whisking until you have a smooth glossy meringue. Carefully place the baking tray under your grill (broiler) and brown the tops of the meringues. Be careful as it won’t take long for the meringue to brown so don’t walk away. Once the tops of the meringues are browned to your liking, remove from the heat and place on your serving plate. This entry was posted in Baking, Desserts, Snacks and tagged Baking, Desserts, Easter, Food, Hot Cross Buns, Meringue, Recipe, Recipes. Bookmark the permalink.